The capstan motor is driven by a closed-loop system which is well described in the diagram below. 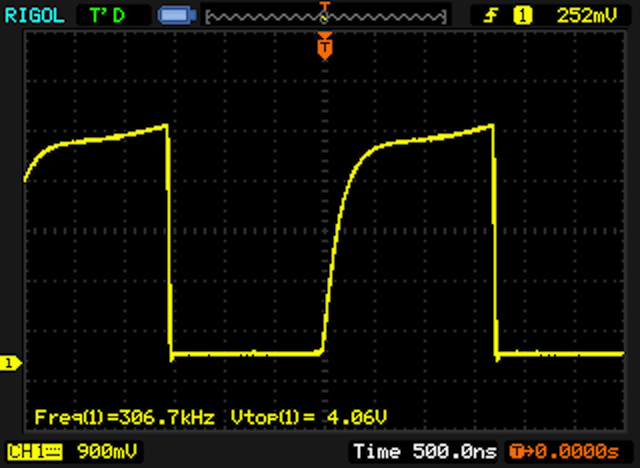 I started checking if the reference oscillator is feeding the board with the correct signal. 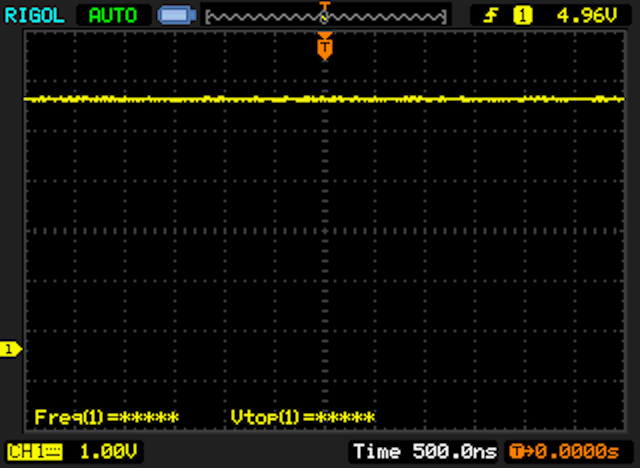 A 307,2 kHz signal is generated by the A5 op-amp and the crystal Y1 which is in its feedback path. The signal is consequently divided by 32 by the 7493N (A1) mod 16 binary counter and the SN158093N dual J-K latch. Below on the left the reference signal probed on TP1. What the hell .. a 9,6kHz signal was expected, let’s find out what’s going on here ! 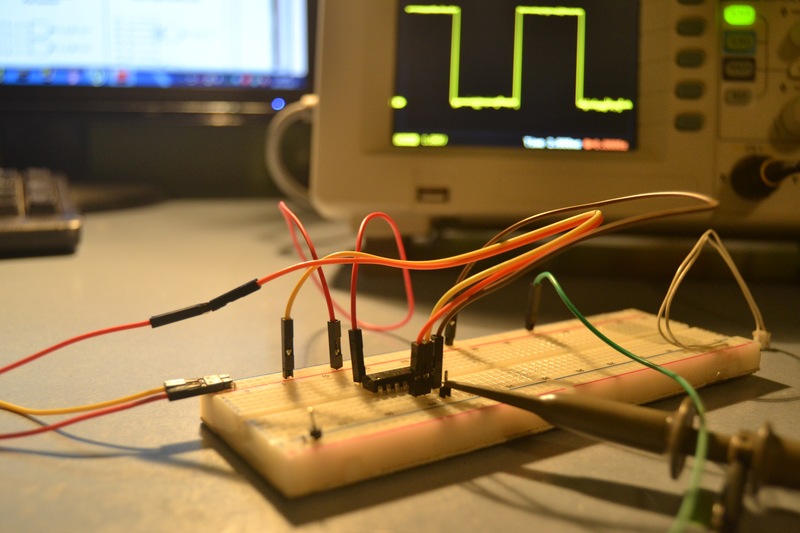 The crystal oscillator is working ! Probing on A2’s CKA (pin 14) revealed that the crystal oscillator stage is working properly, as I suspected it seems we have some faulty counters here. Indeed, after further testing, not the counters but all the ICs were faulty. With nothing but surprise those logic IC became ridiculously pricey and hard to find nowadays. Not having found any cheaper replacement, I’ve ordered them with little regret on ebay. More to come as the new components will arrive ! This entry was posted in Uncategorized on September 27, 2013 by alex89rm. very interested in the rest of the story! 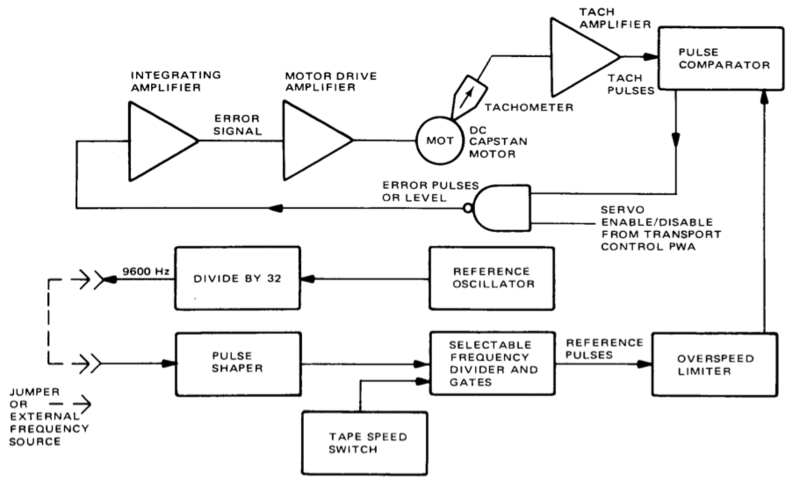 I’m in the process of fault finding my MM1200 too…also Capstan drama.